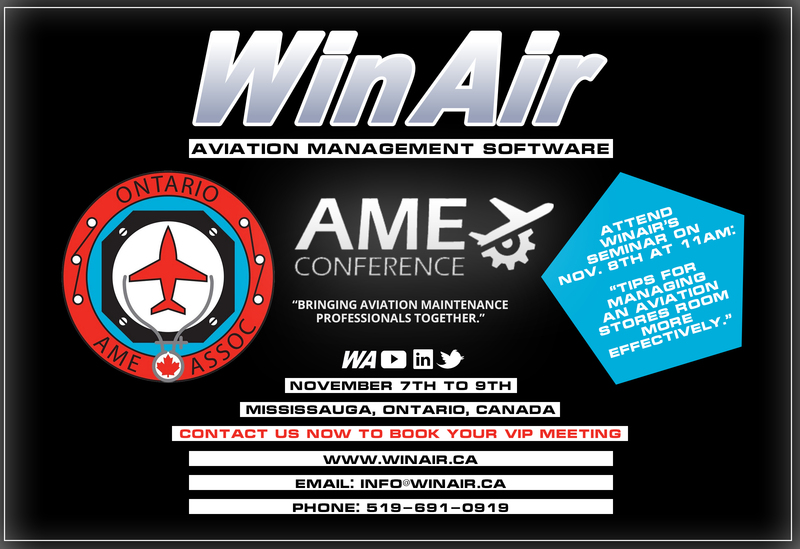 London, ON, Canada/Mississauga, Ontario, Canada – September 28, 2018 –WinAir is delighted to announce that the company is scheduled to attend the 2018 Ontario AME Conference in Mississauga, Ontario, Canada from November 7th to 9th, 2018. But that’s not all! WinAir Managing Director, Kyle Vergeer, will provide a technical presentation from 11:00 a.m. to noon on how to manage an aviation stores room more effectively. The seminar will be based on industry best practices and WinAir’s proven training methodology. WinAir Version 7 is the aviation industry’s top maintenance and inventory control solution. The software has provided aviation operations worldwide with the efficiency gains that they require to streamline and expedite processes throughout all facets of their business. WinAir has software packages available for Operators, Heli-ops, MROs, and CAMOs. They also offer Custom and All Inclusive packages. WinAir will soon be releasing its Dashboards enhancement, which offers businesses an innovative way to represent their data in a highly visual manner. With this new enhancement, companies can set up Dashboards based on department needs. This will provide increased visibility and an easy way to represent important data. With Dashboards, team members can quickly interpret vital information and determine the appropriate course of action. How this new enhancement will be managed will vary between companies and departments, as Dashboards are fully customizable. For the past 30 years, WinAir has been a leader in the aviation maintenance industry. 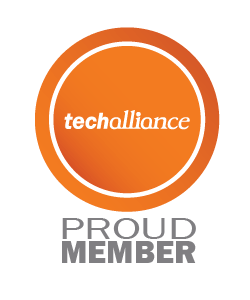 They were one of the first companies to introduce software to track and manage aviation maintenance and maintain inventory control. With the latest fully web-based release of the software, WinAir Version 7, aviation operations from around the globe are improving their processes, increasing the accuracy of their reporting, and are establishing procedural controls. 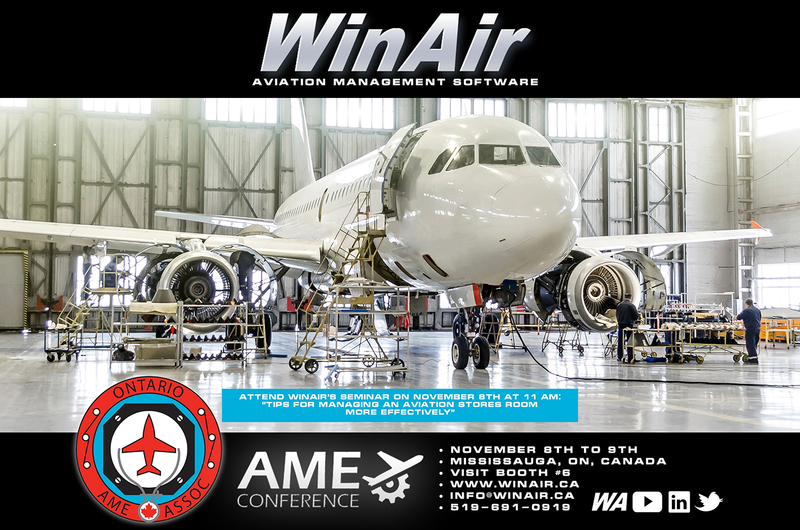 Businesses looking for a trusted, proven, and effective maintenance solution for overseeing all aspects of their fleet maintenance programs should attend the 2018 Ontario AME Conference and converse with WinAir about their unique business requirements. They should also attend WinAir’s seminar on “Tips to Manage Your Aviation Stores Room More Effectively.” This topic was covered in a blog that was written by WinAir earlier this year and was later published in online and print formats by Wings Magazine and Helicopters Magazine. Will you be attending the 2018 Ontario AME Conference in Mississauga, Ontario? 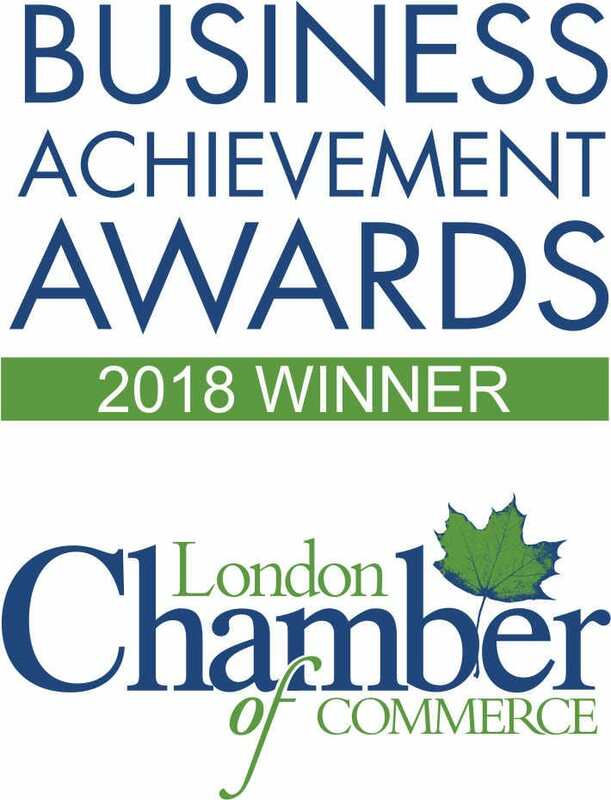 If so, then contact us now to discuss your particular business needs and book a time to chat with a WinAir Solutions Expert at the event!